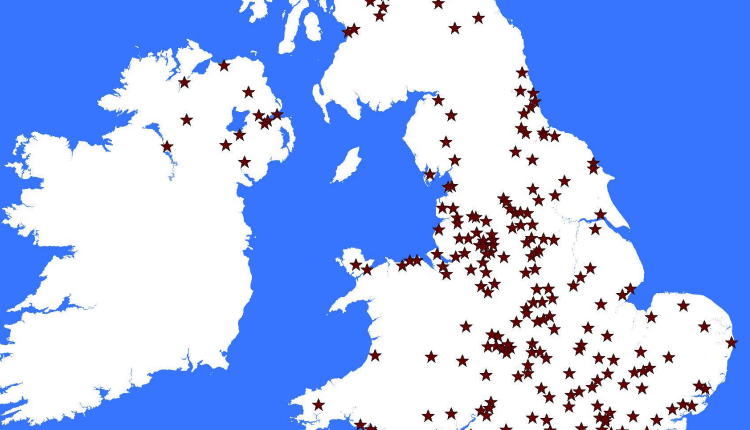 Locations Revealed For Small-scale DAB Radio Demand. Ofcom Has Today Published Details Of The Responses To The Call For Expressions Of Interest For Small-scale DAB Locations. Around 430 Applications Have Been Submitted Covering Approximately 313 Locations Across England, Scotland, Wales And Northern Ireland. Each Application Lists An Unknown Number Of New Or Current Radio Stations To Be Carried On The Multiplexes Too. The Regulator Has Published Three Maps And Tables Showing The Locations Where Parties Have Expressed Interest In Running Either A Small-scale DAB Multiplex Or Radio Service, Or Both. The Areas With The Most Expressions Of Interest To Run Minimuxes With Additional Services Are Glasgow (8), Leeds And London West (6), Liverpool And London North (5) And Belfast, Birmingham, Bradford, London East, London South And Southampton All With 4. Other Areas With Three Expressions Of Interest From Multiplex Operators And Programme Providers Include Aberdeen, Andover, Belfast, Bristol, Cardiff, Coventry, Isle Of Wight, Leicester, Maidstone, Manchester, Medway Towns, Middlesborough, Norwich, Nottingham, Peterborough, Reading, Wakefield And Warrington. The Expressions Of Interest Will Help Ofcom Plan The Spectrum For Small-scale DAB By Indicating The Pattern Of Likely Demand. A Consultation On The Detailed Implementation Of The Small-scale DAB Licensing Framework And A Spectrum Plan Will Be Made Next Year, After The Government Has Put The Necessary Secondary Legislation Before Parliament.